Rochus Misch, last surviving witness of Adolf Hitler's final days, dies aged 96. 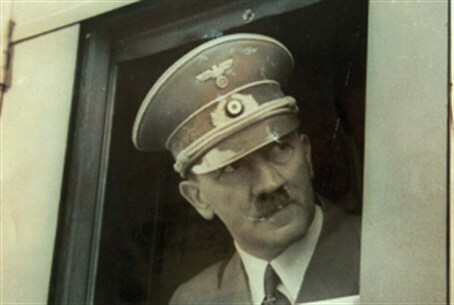 Adolf Hitler's personal bodyguard, who was the last surviving witness of the Nazi dictator's final days in the bunker towards the end of World War II, has died, his agent said Friday. Rochus Misch, who once referred to Hitler in a documentary as "the boss", died aged 96 in Berlin Thursday after failing to recover from a heart attack, according to Michael Stehle, who owns the rights to a book written by Misch. "He was a good boss," he said of Hitler, in the 2005 film entitled "The Last Witness" by Israeli Yael Katz Ben Shalom. Misch was among those who joined the Nazi leader in his bunker where Hitler eventually committed suicide days before Germany's surrender. In a 2005 interview with AFP, Misch described how he had seen the Nazi leader and his wife Eva Braun dead in their bunker deep under the shattered city of Berlin. "Hitler was sitting at the table, slumped forward, and Eva Braun was lying next to him. I saw that with my own eyes," Misch told AFP. "I remember that he said goodbye in the corridor and went into the rooms. He said he didn't want to be disturbed," he said. Hitler poisoned a willing Braun and shot himself in the head. Historians believe their bodies were then soaked with fuel and burned. Misch added that it was not a surprise. "The commanders had all wanted to evacuate Hitler, but he said no, he was staying in Berlin." Two days later, Misch, then aged 27, was one of the last people to flee the bunker, where he had worked as a telephone operator, on May 2, 1945 as Soviet troops stormed the chancellery in Berlin. He was taken prisoner by Soviet forces and held captive in Kazakhstan and Siberia until 1953. His 2008 book "The Last Witness" ("Der Letzte Zeuge") made it onto the bestseller list and brought Misch much attention. An English translation is due to be published next month, Stehle said. Born in Silesia in today's Poland, Misch trained as a house painter before joining the SS and, from 1940, was part of Hitler's personal guard. He returned to working as a painter after his captivity. He told news site Spiegel online in 2007 that at his first meeting with the dictator, he had thought: "He wasn't a monster, he wasn't an Uebermensch, he stood opposite me like a perfectly normal gentleman, and spoke kind words." In "The Last Witness", his daughter Brigitta Jacob-Engelken said that her mother, Misch's wife, had Jewish origins and that her father still did not know. She later said he "refused to know."